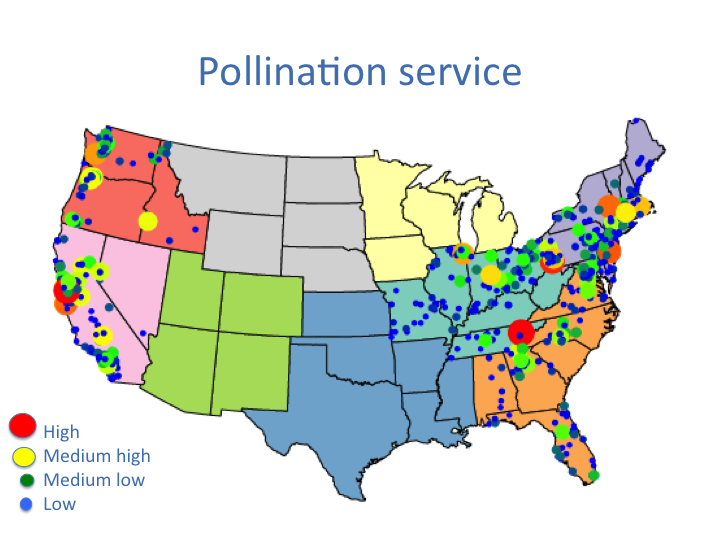 Our map of pollinator service across the United States! We have created new maps for 2016. We realized that we needed to take into account when in the flowering season each count was taken because a count of two bees in early April in California might be relatively low yet in Maine would be very high because of the difference in the seasons. 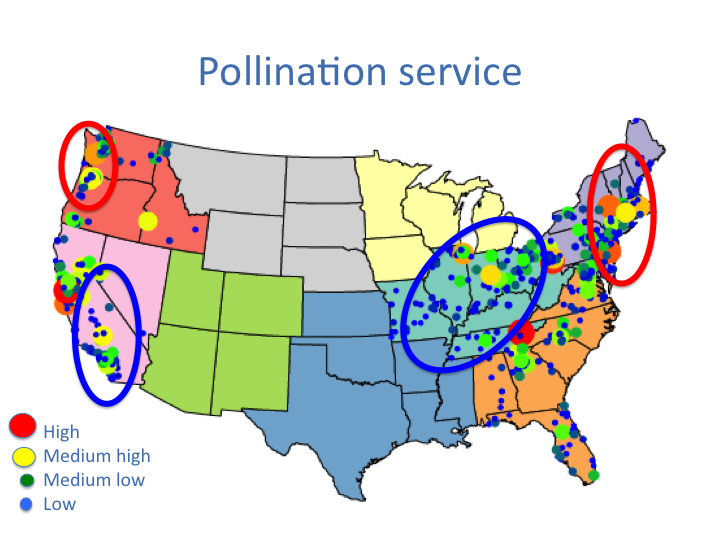 To make this adjustment, we need lots of sites that have at least 4 pollinator counts across the year. We still do not have enough data from the middle of the United States to do that so, the maps below are just for the eastern and western United States. Here are our new maps that take into account when in the season your count was taken. If you look closely at these maps, you will notice some regions that seem to be doing very well and very poorly. Our next step is to do some formal analysis of this to both confirm these results and to understand why.